I have a similar (but not the same) frying pan. Your problem is, most likely, a lack of heat, not a lack of seasoning. I always set my frying pan, empty, on a low/medium fire. When it starts to come to temperature, I raise the temperature to high. [If I have something else to cook, I do that before cooking eggs. This way, I make sure the iron is hot]. When the iron is hot enough, the eggs should not stick. Learning how to controle the temperature of the pan is quite the process, and I have had eggs sticking to my pan at times... and I used to be a professional cook. Just saying. The Leidenfrost effect is your friend. See this question as well. My two cents. After seasoning I fried bacon a few times. Just to use it with something self lubricating that will not stick on itself. 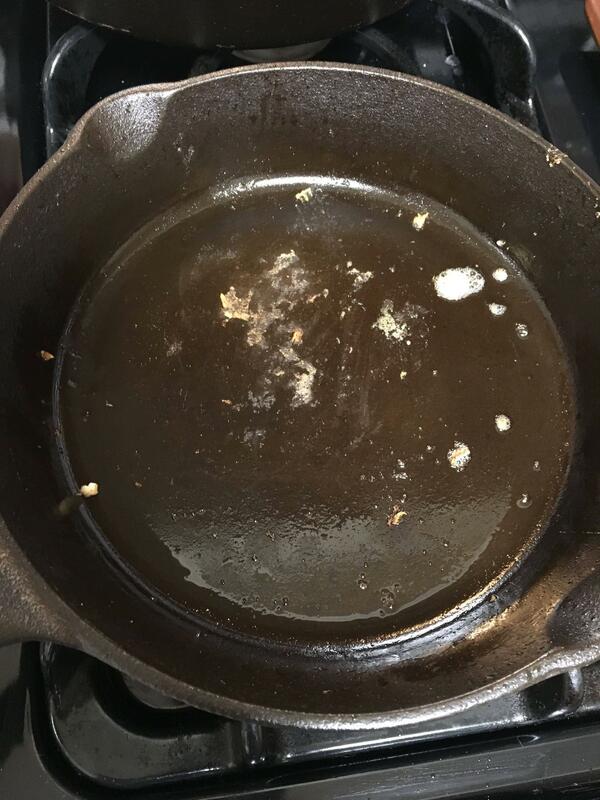 Most probably your problem is that when you seasoned your cast iron skillet with the flaxseed oil, the temperature that you "baked" it in the oven was too low. You need to get it high enough to polymerize the oils. If your oven goes higher than 400, then you should have cranked it up. 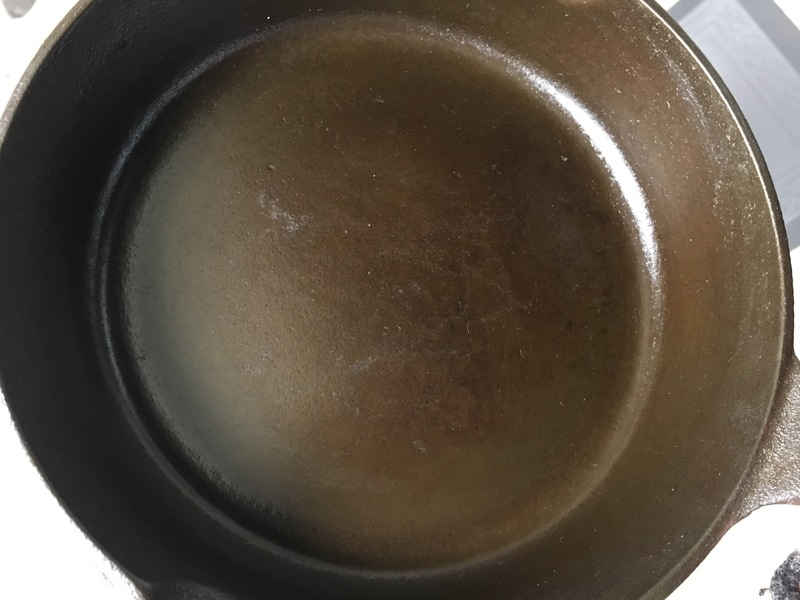 For seasoning, it doesn't matter if the oil smokes, that's fine since you're altering the physical structure of the oil, not cooking food in it at this time. Not the answer you're looking for? Browse other questions tagged cast-iron non-stick or ask your own question. 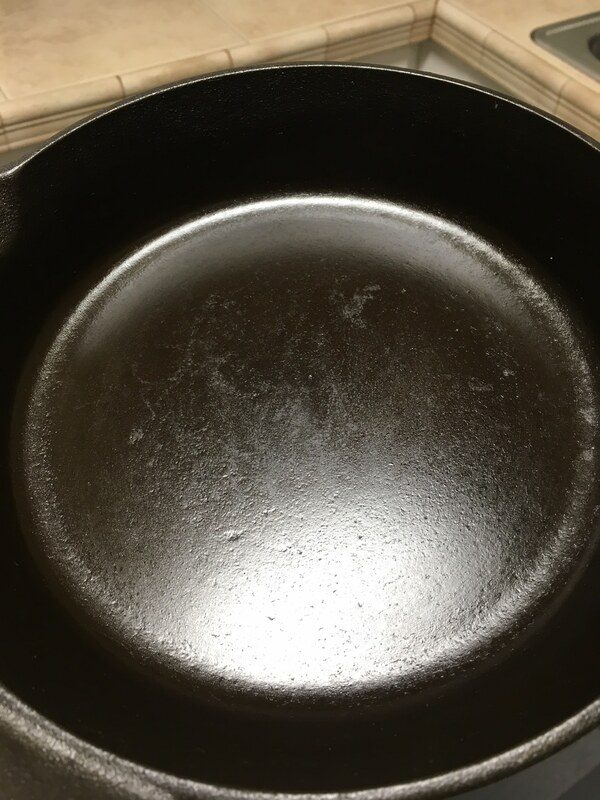 Do you season a cast iron waffle pan before using? Is there a difference in the ease of seasoning cast iron, forged iron, and carbon steel? Cast Iron - Enamelled - Season or not?